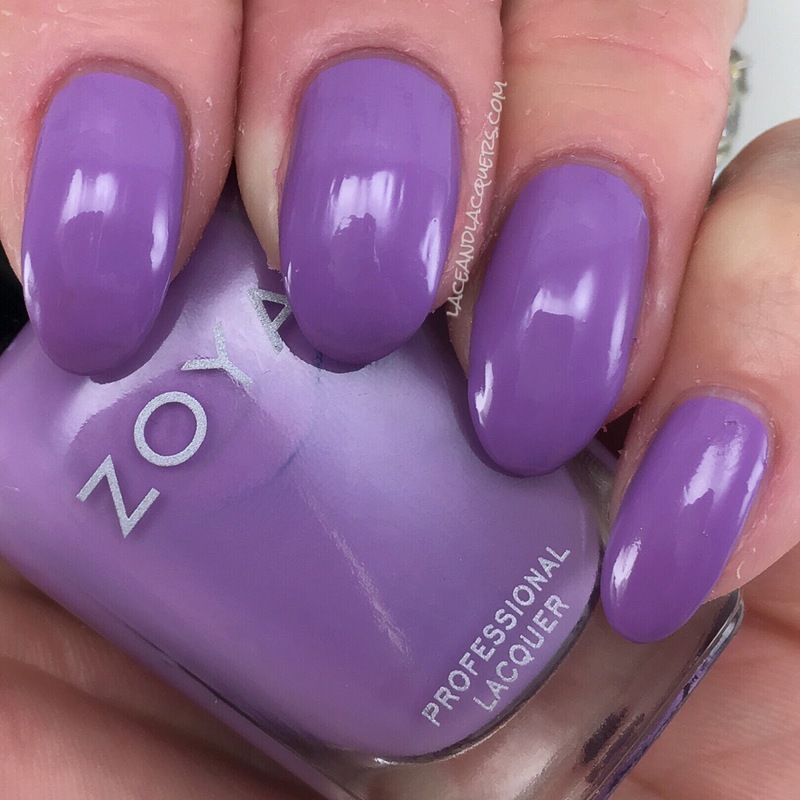 Welcome back to the Zoya Sunshine Collection! 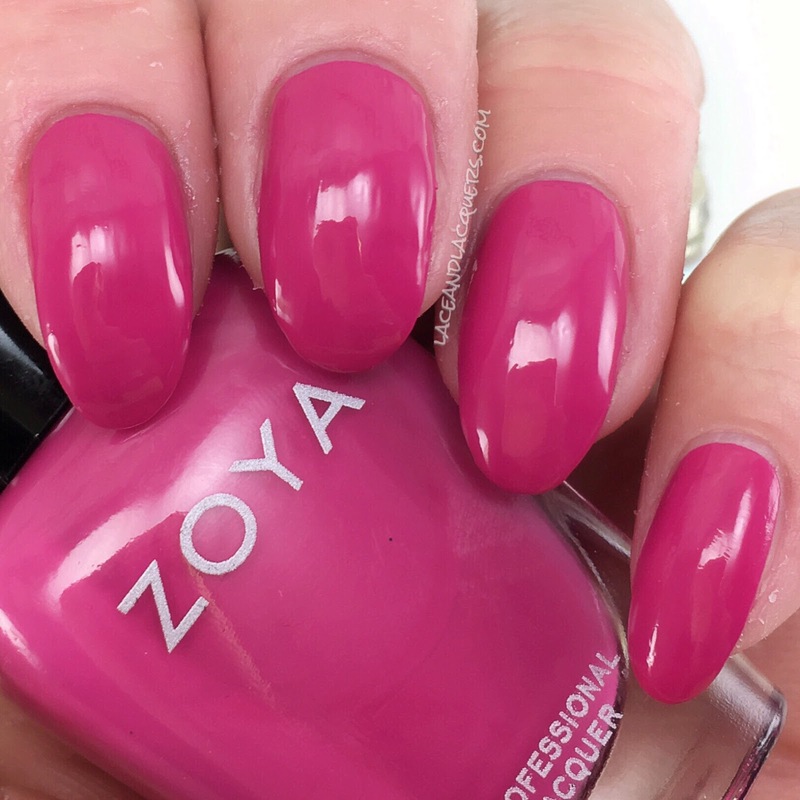 Today I have some more red, pinks, and purples to share with you in the 2nd part of the review. If you want to check out Part I again, or if you missed it, click here. Otherwise, click on over and take a look at the swatches pictured above! Virginia is a "juicy coral red cream" and it's SOOOOO freakin', amazingly, bright. I'm in love with this polish. I think it's the perfect color for a summer mani or pedi. I did 3 coats of Virginia. No issues with the formula to report! Next, Ellie is described as a "raspberry sorbet cream". Can't have a summer collection without a fuchsia-ish shade of polish! This is one of those polishes that I think would flatter every skintone. I did 2 coats of Ellie. 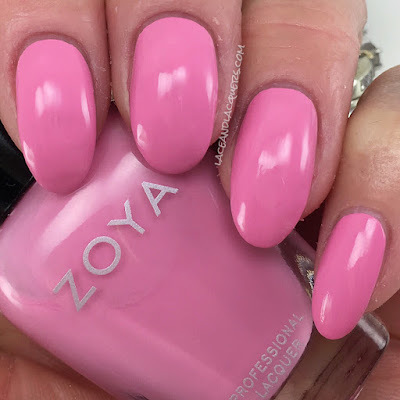 She has that nice classic Zoya creme polish formula that is easy to apply and has a great dry time. Sandy is a "blue toned flamingo pink cream". 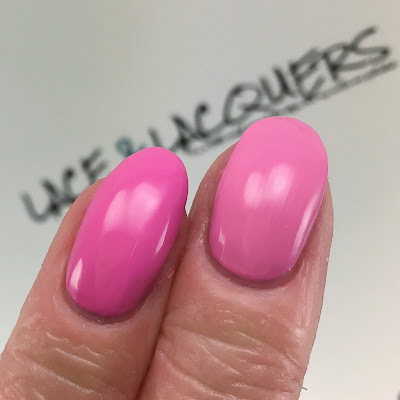 This polish reminds me so much of Dubble Bubble bubblegum. It's a fun shade of pink. I did 2 coat of Sandy. No issues with app or dry time, no complaints! 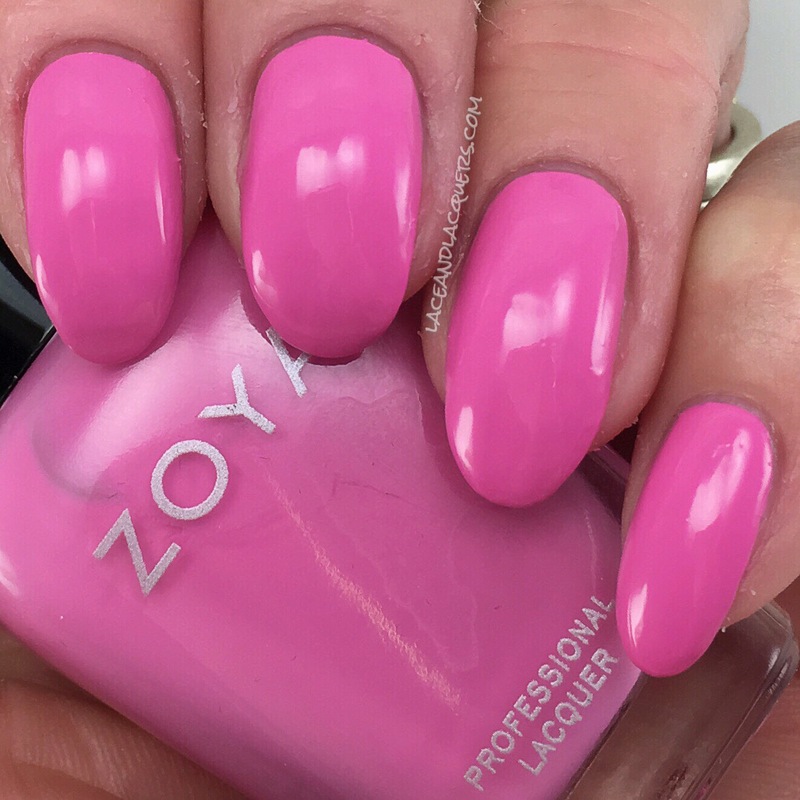 Missy is a "summer pink" cream polish. This pink is still in the bubblegum category if pink poishes for me. Similar to Sandy, but a bit brighter (see comparison swatch) but not in your face PINK. I did 2 coats of Missy. Application was nice and smooth and dry time was great! And here we have Delia, a "muted amethyst cream". LOVING this color. I think it's the most unique in the entire collection. Like her sister Missy, Delia a bright color without punching you in the face. I did 2 coats of Delia. It has a nice smooth formula and is nice and opaque. Last but not least, another glitter! 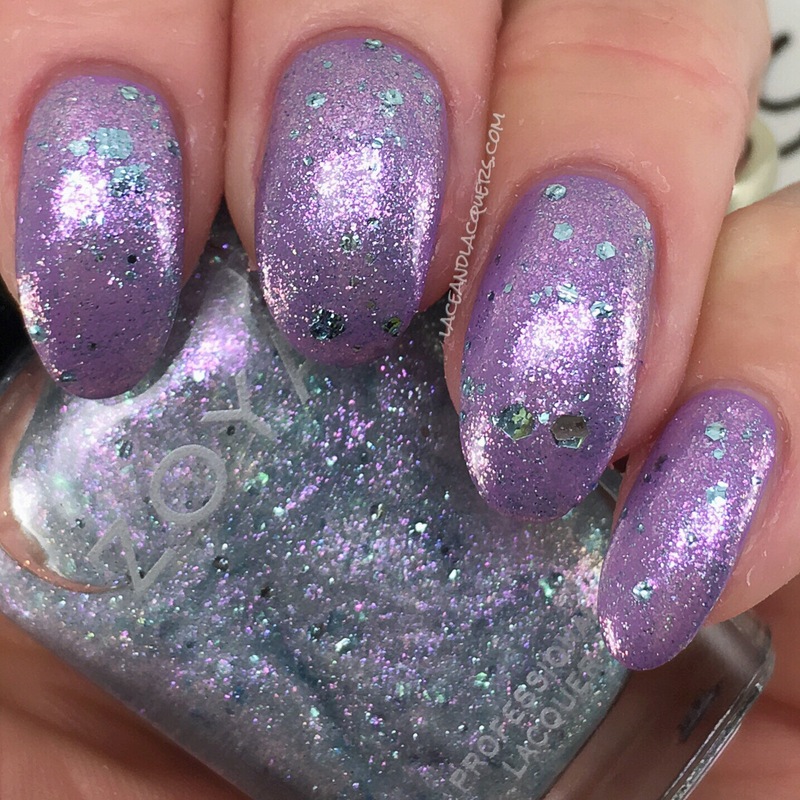 This is Saldana, a "cotton-candy blue iridescent-holo topper with hints of pink and blue colored glitter with mega hex particles". This glitter is so MAGICAL! This is very similar to Nahla (see my part I swatches - here) except it's blue. I feel like the pink and blue flakies are more pronounced in Saldana, vs the iridescent shimmer in Nahla - which is slighty more subtle. 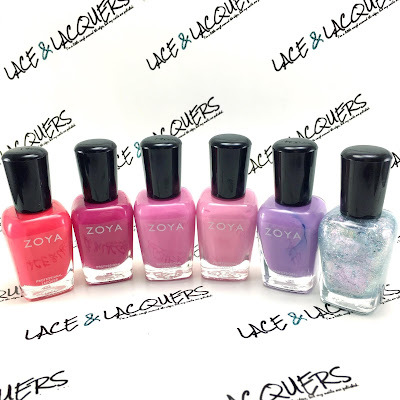 Which is your favorite polish in this post? Virginia and Delia are my top picks! 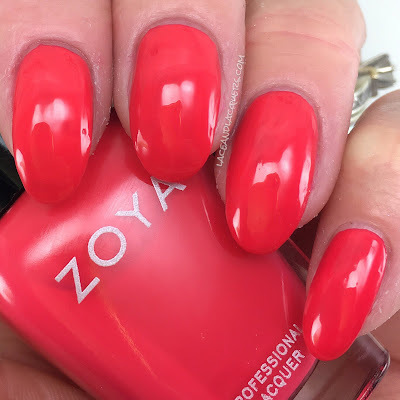 If you missed Part I of the Sunshine Collection - click here to see the reds, pinks, and nudes.